32m², 3 bedrooms, terrace with garden furniture, separate WC, well equipped, comfortable, well appointed, nice. 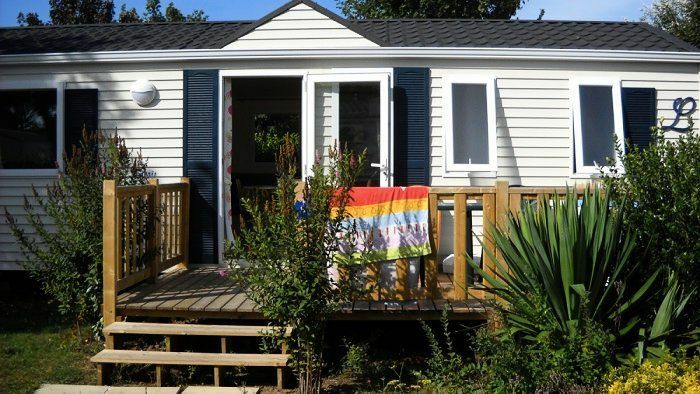 Located in Penmarc'h, in South Finistere, Camping Les Genêts **** welcomes you for family holidays by the sea. Its location 1.5km from the beach will delight young and old. Mobile Home 4 Rooms 6 Persons of 32m ², composed of a corner cooks equipped, a corner living room, a room with a double bed, 2 rooms with each 2 simple beds, a room of shower with TOILET separated , a terrace.